Pioneer has shipped its new line of NEX car audio receivers that are the first to be compatible with Android Auto, a new easy smartphone-to-car-radio interface that could be released soon from Google. (Or at least reports back in January expected a release soon). Pioneer, nevertheless, remains the first car audio maker to ship radios that are ready for Android Auto once Google pulls the trigger. Three of Pioneer’s new radios will work with a phone running Android 5.0 (Lollipop) to display a familiar Android interface on the radio touchscreen with lots of voice and steering wheel controlled functions. Pioneer’s full new NEX line (all 5 models) are also compatible with Apple CarPlay. The AVIC-8100NEX,and AVIC-7100NEX navigation/radios and AVH-4100NEX AV/radio, each with 7-inch touchscreens are both Android Auto and CarPlay ready. Two additional new NEX models from Pioneer, the AVIC-6100NEX and AVIC-5100NEX, work only with CarPlay. Many of the NEX models include HDMI connections, MirrorLink , HD Radio and iDataLink Maestro technology for retaining the features in cars such as factory Bluetooth or voice control. The radios also support FLAC hi-res audio. All of the new AV/radios have Pioneer’s AppRadio mode for connecting to Android and iPhone devices to view and control certain apps from the radio. The top-of-the-line AVIC-8100 has a capacitive WVGA touch screen and the other models have a new resistive WVGA touch screen that is more responsive and brighter than traditional screens, said Pioneer. Pricing for the new AVIC-8100NEX is $1,400 suggested retail price. 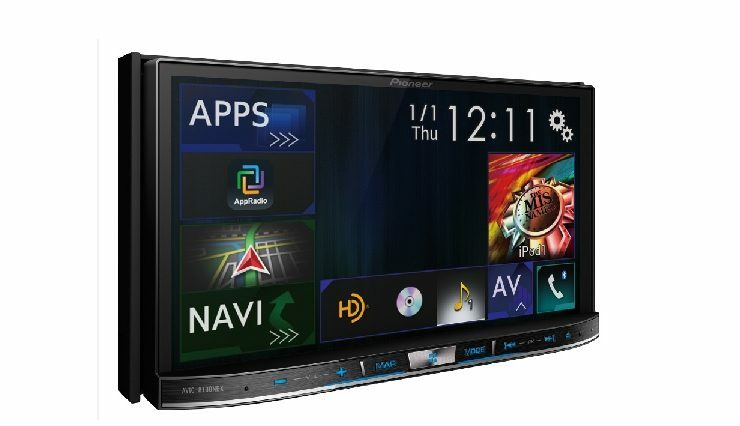 The new AVIC-7100NEX is available at $1,200 the AVIC-6100NEX at $900, the AVIC-5100NEX at $750 and the AVH-4100NEX at $700. Awesome I’m sure amazon can’t wait for the first shipment!!! Let the discounting BEGIN!!!!! Mike, Android Auto only works with Android 5.0 or higher for it to work. Android did not have support in versions lower than 5.0 (and it may be 5.1 that actually enables it on the Android side).